Commingled funds and mutual funds are both professionally managed investment vehicles that combine the assets of numerous investors. Both fund types adhere to a defined investment strategy, and could each be buying the exact same stocks and bonds in hopes of fetching the same returns. That's about where the similarities end, because each fund type follows a different set of rules when it comes to transparency. In some respects, the funds are competing for the same clientele, but mutual funds are available to a wider audience than commingled funds. 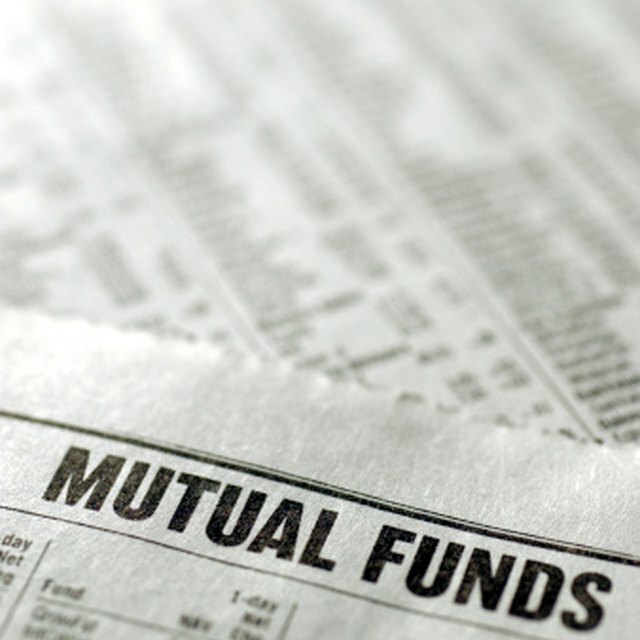 Mutual funds are open to retail investors, which are individuals, and to institutions. In 2017, the U.S. mutual fund industry oversaw $18.75 trillion worth of assets. Depending on the mutual fund type, investors can obtain units, or positions, in a fund either directly from the mutual fund firm or through a stock broker. Mutual funds calculate their net asset value each trading day, so you don't have to wonder how much your investment is worth. Mutual funds that invest in dividend-paying companies pass those proceeds to shareholders each quarter. While you might see a television commercial advertising a mutual fund family of funds, you're not likely to see investment firms advertising their commingled funds. That's because commingled funds aren't for the mainstream, but that doesn't make them any less relevant. Commingled funds are reserved for members of employer-sponsored qualified retirement plans. They target a smaller audience than mutual funds, and they tend to have fewer clients. Commingled funds also take the liberty of redirecting any dividend proceeds back into the funds instead of spreading the earnings around to clients. What are the Advantages of a Comingled Account? Comingled funds are generally preferred by the retirement industry because of their lower set up costs and legal expenses. Expenses take a huge chuck off retirement gains so low costs means there's less drag on the fund's performance. If a mutual fund and a commingled fund had the same gross returns, the commingled fund would do better net because of its lower operating costs. What are the Disadvantages of Comingled Funds? When it comes to convenience, mutual funds have the advantage over comingled funds. You can learn details about a mutual fund's fees, trading history and investment strategy in a single document known as a prospectus. In fact, mutual funds are required by their governing body – the U.S. Securities and Exchange Commission – to furnish you with the document when you first invest. Commingled funds, while regulated, are exempt from the laws that govern mutual funds because they don't target individuals. That makes it less convenient to find out details surrounding a fund's size and performance, but you can call the investment firm directly to learn these details.